Leesburg, VA, July 30, 2018 – The Building People, LLC. has announced a new partnership with ARCHIBUS to support continued growth and innovation across the Real Estate IT and technology sector. This partnership will support ongoing facilities operations work The Building People have with Department of Defense as well as their future work in support of Federal and private sector clients. The Building People is an SBA 8(a) and HUBZone certified firm that delivers total life-cycle solutions for clients by integrating technology, buildings, and people to solve today’s complex challenges for building owners, occupants and stakeholders. For over 35 years, ARCHIBUS, Inc. has been a global leader in streamlining how enterprises manage their facilities, infrastructure, and real estate through the ARCHIBUS advanced integrated workplace management system (IWMS) which centralizes data, planning and operations onto one seamless platform. If you would like to learn more about this topic, please contact Charles Dilley at (703) 669 2222 Ext. 706 or email at charles.dilley@thebuildingpeople.com. Scores are now available for wastewater treatment plants. They are based on ENERGY STAR Portfolio Manager’s (ESPM) formula. Not only will scores be available for plants designed above 0.6 MGD but also for WWTPs designed smaller than 0.6 MGD. To support these calculations, a new Flow Meter type has been added. This meter type is only available to sites designated as WWTPs. The Improvements tab is being enhanced to assist in taking the next step of determining and implementing improvements. Additional features will assist with prioritizing improvements, making it easier to take action, as well as complementing existing programs in the State. New tools will assist with planning and budgeting which buildings are best suited for action via audits, retro-commissioning or other improvements. It will assist owners in finding rebates, incentives and programs to help fund improvements. The Improvements tab will continue to track savings targets and be a repository for energy/water related documents. In partnership with EnergyCAP, we have developed a custom import to facilitate the transfer of data from EnergyCAP into B3 Benchmarking. The account and meter numbers in both systems need to match identically. Export your data out of EnergyCAP using their standard BL23A export then import it into Benchmarking via the Import Wizard. No need to copy the data into Benchmarking’s standard import format. Note this transfer does not include peak demand data. Building level metrics are now available on the benchmark, baseline and reports tabs for buildings with meters that serve multiple buildings. Warnings are displayed for any meters not connected to a building with the option of an override flag. Building navigation has been updated to streamline drilling down to building level metrics. To open the building editor, you can either click on the building name in the banner header or the dropdown arrow on the far right of a multi-building list. Three renewable meter types now available: PV and wind have been separated, and thermal has been added. Import wizard for meter readings now supports updates to existing readings in addition to new readings. For example, this will be helpful if you want to go back and enter demand or cost data for existing historical readings. To streamline site decommissioning, a couple of clicks within the site editor will decommission all buildings and disconnect all meters (energy and water) with that site. A decommissioned building version will be created for each building using the site’s last meter reading date. Each meter will have a disconnection date equal to its last meter reading date. If necessary, decommissioned and disconnection dates can be edited in the building and meter editors, respectively. Reports now provide fiscal year reporting for the many organizations that do not operate on the calendar year. 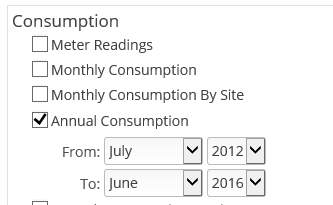 The consumption summary table will align with the report options duration allowing for non-calendar year metrics. Export to Excel will prompt for a period when selecting Annual Consumption exports. This section provides hints, tips, and tricks of the trade to make the most of your B3 Benchmarking data. This issue looks at how the Pareto Principle (80-20 rule) applies to potential savings. By the numbers, it means that 80 percent of your outcomes come from 20 percent of your inputs. For those who manage large portfolios of buildings, such as colleges and universities, state and local governments or REITs, finding the 80/20 ratio is crucial to maximizing building energy performance. Focus on the 20% of buildings that have the greatest potential to save energy. Facility managers could spend time working on those problem buildings that can be improved significantly through recommissioning or energy audits and leave the other buildings that are outside the 20% for another day. Through our B3 Benchmarking platform we have consistently found that within a managed portfolio of buildings 70 to 80% of the savings can be found in only 20 to 30% of buildings. 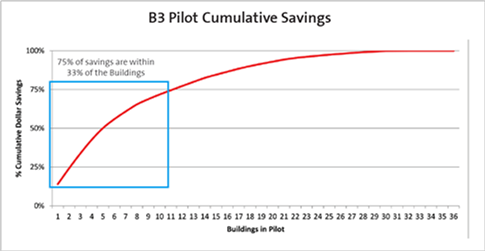 The full article identifying how to apply the Pareto Principle to maximize building energy performance will be posted in the next issue. 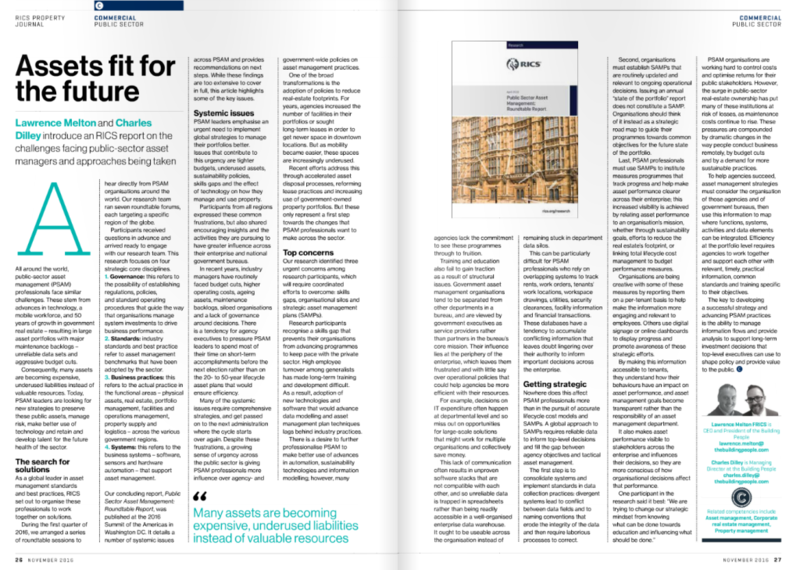 Don’t miss Th e Building People’s Lawrence Melton and Charles Dilley feature article “Assets fit for the future,” published in the November Issue of RICS Property Journal where they introduce readers to the global challenges facing public-sector asset managers and the strategies they seek to adopt to address the future of the industry. 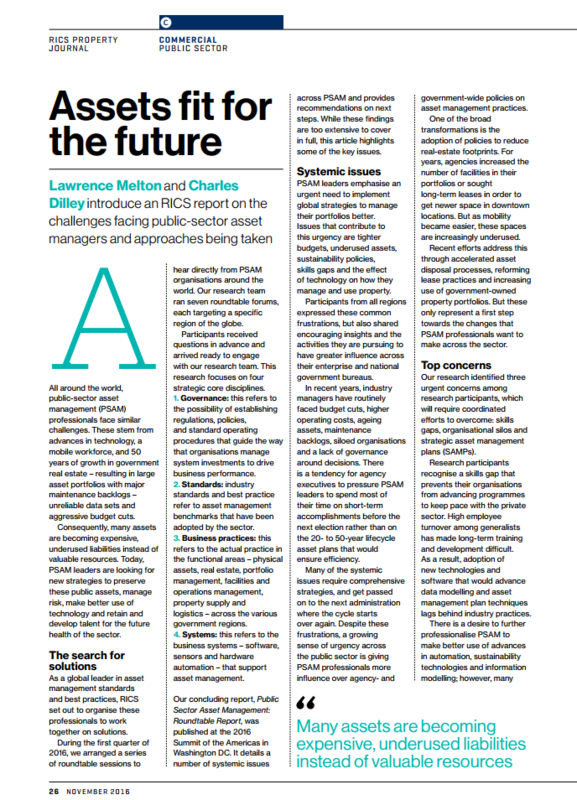 Access the published article at RICS here. This month’s RICS Property Journal features The Building People’s international research in which we examine public sector asset management around the globe to identify common challenges and strategies to resolve some of the systemic issues across the sector. The complete research report, Public Sector Asset Management (PSAM): Roundtable Report, had participants from more than thirty countries responsible for trillions in real property assets. 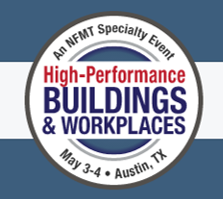 For those at NFMT Austin, TX, come join our CEO Lawrence Melton and a panel of GSA executives at 10AM CST as they investigate the impact of IoT on the workplace. GSA’s Total Workplace initiative was established to help agencies make the most of their office space, in part via adoption of mobile, collaborative technologies and policies, such as wireless local area networks, cloud computing, virtual private networks, teleworking, and desk sharing and hoteling. The goal: Reduce the amount of real estate agencies need and, in turn, cut their office expenses and carbon footprints. How has the Internet of Things impacted the initiative? Attend this session for best practice examples from two executive change agents within GSA on how this transformation has worked well — and the challenges that lie ahead. Description: For anyone in the facilities management (FM) industry, it easy to remember that not too long ago, engineers with radios and clipboards were about the only option available. Fast-forward to today and we have machines talking to machines, fault detection diagnostics reaching into every wall, ceiling, closet and basement, and resulting analytics predicting the future and more. The end result of all this technology and automation is a radical shift from reactive to proactive operations. No longer do we wait for the call and respond, but today’s facilities team utilize sophisticated systems, know when the problems occur ahead of time and can prioritize the response accordingly. For anyone involved in FM, this session is a must-attend to get an update and see what lies ahead for facilities. What does it mean to shift from reactive to proactive operations? Do most traditional facility managers or engineers understand the potential that automation can deliver on proactive operations and do they have the skills to implement the technology? Where does an organization start to transform itself from reactive to proactive operations? Some highlights from Day 2 here in Los Angeles at #RICSsota. Come join us at CoreNet Global North American Summit here in Washington DC, from October 26-29th. Where TBP President and CEO, Lawrence Melton will be joining two panels of real estate industry experts to present some of the most innovative concepts in the market today. “Enlighten us, but make it quick!” is the motto of Ignite. 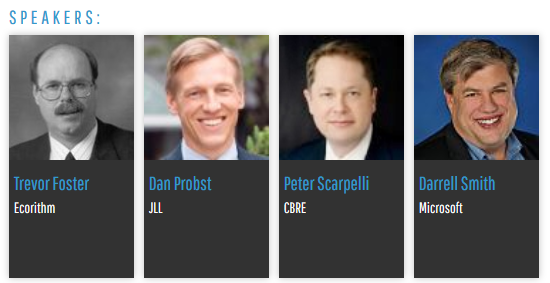 Hear from industry experts as they share their thoughts and passions on concepts that may have a dramatic impact on corporate real estate as we know it -all within five minutes! Each speaker’s presentation will last just five minutes and uses the format of 20 slides that advance every 15 seconds. Introverts and extroverts – heads-down or heads-up. How do we resolve this dilemma in the workplace? General Services Administration (GSA) has combined two innovative programs into Smart Occupancy + Smart Building. The results are incredible space and energy savings, personal ROI and engagement for employees, and proactive analytics to steer a brighter, more sustainable course. And this was accomplished in the face of tighter budgets and increasing regulations, legislation and executive mandates. Explore the important elements, learn the benefits, and join the conversation on the technology and cultural changes transforming today’s workplace. Understand the steps you need to implement the same successful results as GSA. Be able to define the typical challenges faced during a Smart Occupancy + Smart Buildings strategy, and how to solve them. Quantify the value of implementing a combo of Smart Occupancy + Smart Buildings within your organization. As everyone knows big data has big potential, but how data is collected will transform the integrity of your analytics and return on investment. This recent article in Fed Times outlines the hurdles federal agencies face when attempting to form intelligence from massive databases. Here at The Building People LLC, we have solutions to overcome these elements and deliver the type of analytics that help businesses and tax payers’ save big money. Its not the data, but what you do with it that matter.